Last time I’ve discussed how YouTube’s search algorithm works and why new Youtuber’s videos struggle to appear on a first page in search results, as well as gave some tips concerning topics you should avoid. All tips I shared with you by now are definitely enough for you to get past the first 100 subscribers. At this point, the most important thing is to improve upon your channel as much as possible. For some individuals getting to 100 is a horror but after that it’s like a cakewalk. The other group realizes that after first 100 subscribers it becomes even harder to draw more viewers to your channel. There is a reason for that. I will explain why people give up on YouTube so quickly as well as provide few more tips that you can use to make your channel grow even faster. Whether you are recording live events such as sports or record your PC screen or games, really do keep in mind that quality is extremely important. While quality itself might not bring you new subscribers, it will most certainly not push away potential viewers of your content. This is especially visible with game recording. Most of the low subscription channels tend to have inferior quality videos which results in slow subscription gain rate. If you really do want to compete with other YouTube gamers, this is something absolutely crucial for your success. Be wary, that YouTube decreases the quality of every uploaded video. That is why make sure when you’re recording to increase the bitrates above the level that satisfies you. However, keep in mind that if you set up too high bitrate, it might hurt your gameplay. Every time you render your video in editing software, you lose portion of the quality, and yet again as I’ve mentioned, you lose quality when uploading to YouTube. It might be tricky at first, but it is manageable. Unless you have high-end machine for 8 000-10 000$, I wouldn’t recommend recording in 120FPS, as with standard gaming PC’s you probably cannot maintain those frames in newest games. The other drawback is that YouTube does not support videos above 60 FPS. Every video above 60 frames per second is reconverted back to its maximum supported value. While human eye technically cannot see the difference in smoothness of the video above 23FPS, the difference between 30FPS and 60FPS is astounding. Video size should always stay at ‘Original’ to maintain high resolution and quality. 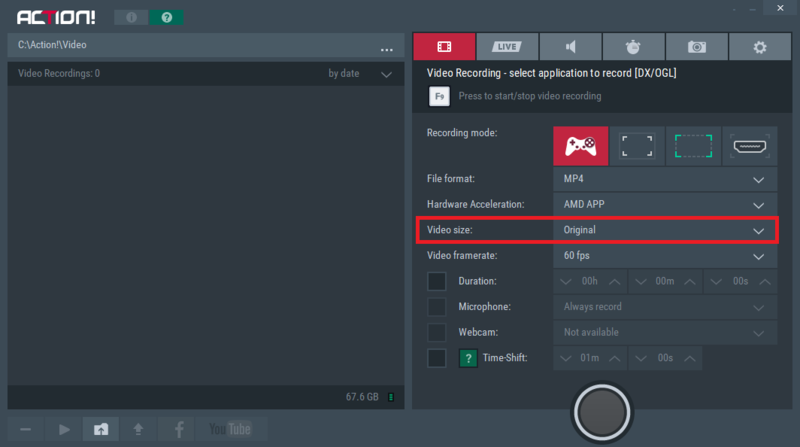 If you are planning on editing your video after recording, it’s recommended to record in MP4 file format. Video quality should be set to Ultra to provide the best viewing experience. 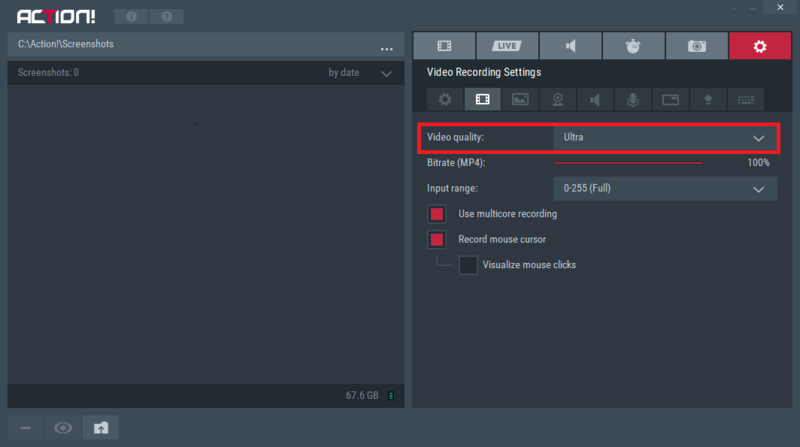 If you experience significant drop in frames per second when recording in ultra quality, consider lowering the quality. When recording in MP4 file format you may set up your bitrates. If you have good enough PC, you shouldn’t have any problems maxing it out. Otherwise try lowering those settings until your FPS is at desirable level. Above I’ve mentioned that you should contact other Youtubers in order to find out, how they managed to get all their subscribers. There is also another reason to e-mail them directly. If you have a Minecraft channel with 600 subscribers, try to find another Youtuber with around 100 to 1500 subscribers. Make a gaming session together and post the videos on both channels. This way you can share your viewers and increase your channel traffic. Don’t confuse it with poaching, because if both channels maintain (or improve upon) their content quality, the viewers will remain on both channels. This method can be repeated over and over again on various channels. While this method might not come for free (unless you find a sponsor), it is only recommendable to make a giveaway on your channel. For most gamers it should probably be the game that is featured on the channel, but other forms work just as well. If you feature Destiny 2 on your channel but you lack viewers, get that additional digital key and simply organize a giveaway, post info on reddit and people will flock to your channel. Some will leave after giveaway, that’s only natural, but if you really do have a quality content, the likelihood of them staying is very high. Consider this a YouTube marketing strategy. Believing in yourself is definitely the most important aspect to take into account when starting YouTube. I’ve already mentioned that becoming a successful Youtuber requires much work and is comparable to becoming a world famous singer. That’s why you need to set your goals right and not aim for 1 million subscribers at start. Many Youtubers tend to feature their subscribers milestones on their channel starting from 10 subs. I think that’s a good idea to set your own goals to pursue when it comes to Youtube career.